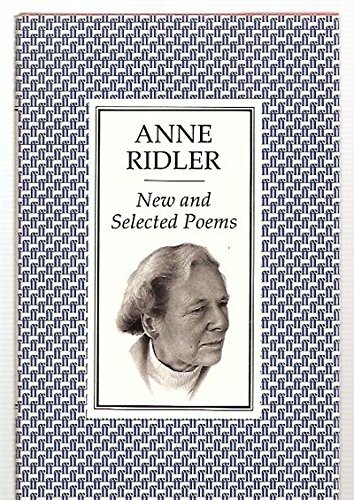 Anne Ridler (1912-2001) moved in literature throughout her life; she was the daughter of writers, with more in the extended family, and joined Faber and Faber's poetry department while in her early twenties. She edited many collections and anthologies while at Faber and Faber, and worked closely with the company's Poetry Editor, T S Eliot. He features as a character in several of the introductions she makes to her poems. Just before her death, she was made an OBE for services to literature. Not only a poet, Ridler was also a librettist, of original and translated work, an author of verse drama, and a member of the Oxford Bach Choir. It is not surprising, therefore, that her poetry benefits from being spoken aloud, full of subtle coloration and rhetorical balance. Her ear for the music of a poem can also show itself in the freer style of 'A Matter of Life and Death', with its ability to shift in and out of recognisable metres and rhymes, or in the strictly formal 'Villanelle for the Middle of the Way', which not only handles this difficult form admirably but is introduced with an explanation of its rules, and the benefits of using it. Her understanding of drama, similarly, informs the narrative of 'The Halcyons'. The theme of 'The Halcyons', that of transformation through love, is one of the expressions of love that run through much of her poetry; love at a distance, love within a family, love as prayer. 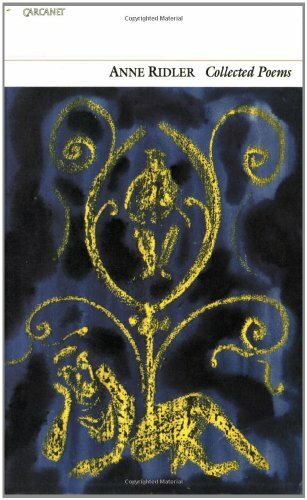 Her expressions of faith are not unquestioning, taking as influences the inquisitive ways of the Metaphysical poets, of Traherne, of Charles Williams, and - of course - of Eliot. But love and faith do not exhaust her subjects, which - on this recording alone - include surgical cures, Renaissance art, and a misguided French tailor who believed he could fly. Her ambition seems never to have been for fame, having expressed her agreement with Kathleen Raine's preference to think of herself as invisible. Her quiet excellence, however, is far from inaudible. Her recording was made on 22 March 2001 at her home in Oxford and was produced by Richard Carrington.